One of my favorite parts of living in the USVI is that my life is full of adventures! My friends often make envious comments on our Facebook posts which ultimately leads to them planning a visit. Of all our island adventuring, the most “liked” spot of all is Cas Cay, a beautiful little island off the coast of St. Thomas that we can see from our house. When visitors come, the #1 request is “that little island that you kayak to”, and you’ll soon discover why. 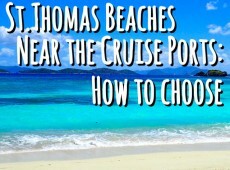 With stunning cliff views, crystal clear waters, and the most unique snorkeling spot in St. Thomas, Cas Cay is a favorite that feels brand new no matter how many times we venture to it. A trip through the mangrove lagoon is all the island adventure that you’re looking for, and it’s all wrapped up in one ecotour excursion that is sure to be the highlight of your St. Thomas vacation! The only tours that explore the St. Thomas mangrove lagoon are Eco Tours. 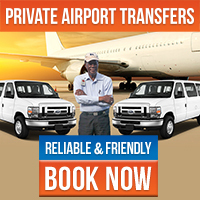 There is a shorter tour without a hike, an extended tour with lunch, and even a bird watching tour. 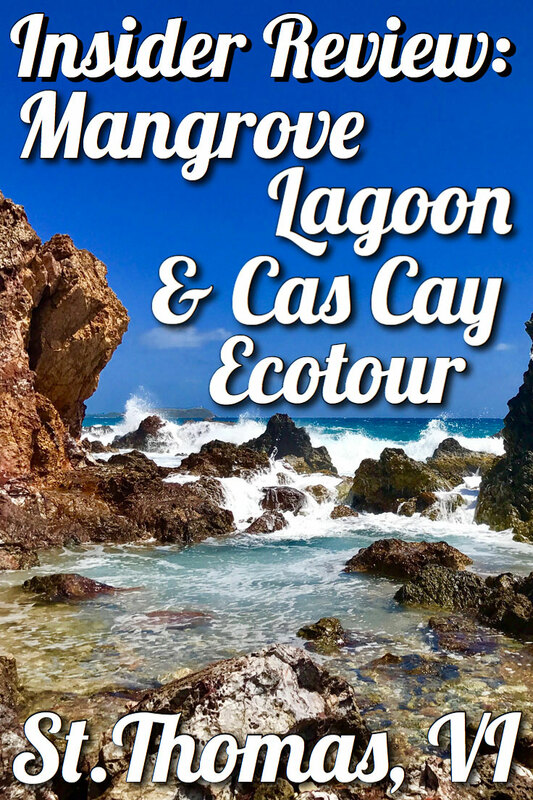 The tour my husband and I went on is right down the middle at 3 hours long with a bit of everything, the St. Thomas Mangrove Lagoon and Cas Cay Ecotour. The guides gave us a quick overview with a map of where we’d be kayaking to and some tips on wildlife to look out for on our excursion. The journey through the scenic lagoon began with a kayak trip to more open waters. When a tour takes you off the beaten path a little, chances are it’s going to be something special, and we were ready for an adventure! The further we got into the lagoon, the clearer the water became. As we paddled on, our guide pointed out unique sights like this upside down jellyfish. This particular species is rare outside of the mangrove lagoon, but there are plenty to spot on the ecotour. Look how clearly you can see them right from our kayak! The mangroves opened up to fantastic view of our destination, and we beached our kayaks on the little island of Cas Cay. The clear waters and uninhabited island were just begging to be explored! From the moment we left the shore on the shaded trails of the island, we could hear a faint sound, almost like rain in the distance. The path opened up to reveal the source, hundreds of hermit crabs waddling around and clinking shells. Each person selected a hermit crab for a race, and we each cheered our little crab on. Where else can you race hermit crabs? After the big race, we continued on our hike. Our guides told us about the unique plants we encountered along the way and about the amazing qualities of the mangrove trees like their ability to filter salt water and how they’re used as a hurricane haven for boats. When the hiking trails opened up, the view was breathtaking! As we ventured to the red cliffs, our guide told us about the unique shell shore that separates (and protects) the lagoon from the open ocean, locally called “False Entrance” as ships would wreck on the rocks trying to enter the bay. Our hiking destination was the geological blowhole at the end of the island. The water was so blue and clear, and the blowhole was such a sight! It was like stepping into the pages of National Geographic, and of course, it’s a one of a kind photo op! After the scenic hike, it was time to explore the underwater sights. Everyone got geared up with their complementary mask and snorkel, and our group swam out to the middle of the lagoon. As you can see, there was no shortage of fish and unique sights, and our guide was happy to answer any questions about the various fish species swimming along with us. We even spotted some more excotic marine life like this hogfish and lobster. All that undersea action, and we still hadn’t even reached the main event. These mangrove trees are what make this lagoon the most unique snorkeling spot in St. Thomas. Their filtering roots keep the waters so crystal clear, making it ideal for snorkel exploration. The mangrove roots create a remarkable and eerie underwater scene. 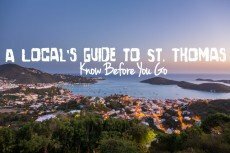 You won’t find anything quite like it anywhere else in St. Thomas! The lagoon is known to be a nursery for various marine life because of the protection offered by the mangrove roots. We saw lots of baby fish, like these barracuda. The vibrant coral growth on the roots is my absolute favorite. The strange merging of land and sea is truly a one of a kind sight. A snorkeling encounter like this is rare and special which is why the mangrove lagoon is a MUST DO for snorkelers! After the snorkel trip, our guides gave out chocolate treats, and it was a peaceful paddle back to St. Thomas. Exploring an uninhabited island, taking in National Geographic-worthy views (and photos), and encountering rare and amazing snorkeling sights- now you can see why this all in one ecotour is a favorite for visitors and islanders alike! Wouldn’t you go again and again too? 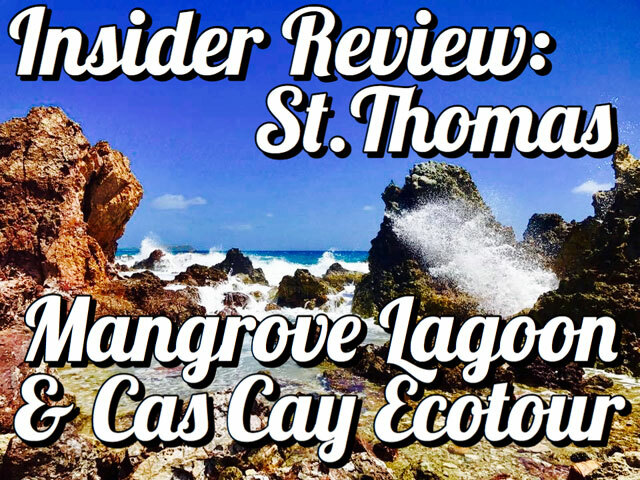 Experience the St Thomas Mangrove Lagoon and Cas Cay eco tour with our insider review! 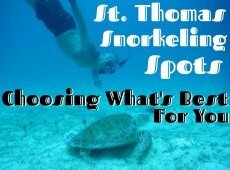 Don't miss this kayak, hike, and snorkel St Thomas excursion!